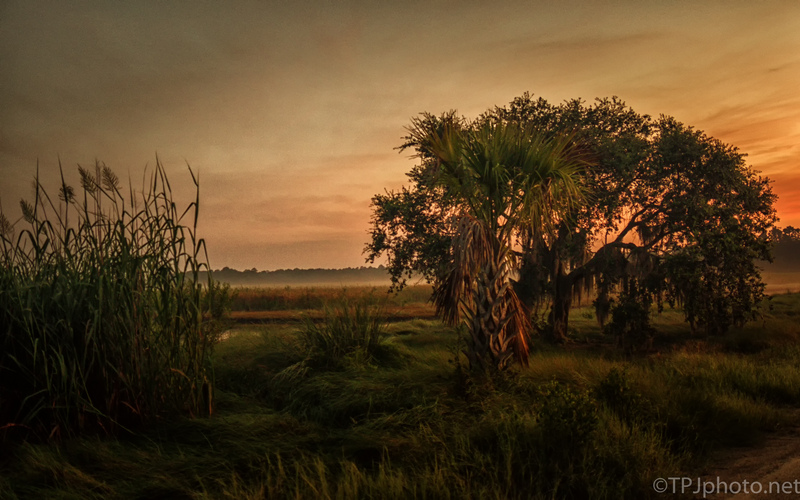 Bear Island WMA, South Carolina. Wonderful photo! We are both interested in that spiky-looking grassy palm-tree thing, whatever it is! Ahhh, that’s a Palmetto tree. A type of Palm tree. They are wild so never look like the typical Palm tree we all think of. Tall Palms look good if they have care, pruning, all the things you know so well. The atmosphere this image emits is powerful and awe-inspiring! Fabulous shot, Ted! Thank you. All about timing. If I had tried that shot this morning there would be nothing left of me. Mosquitoes drove me away in minutes.